All quotes come from an advance copy and may not match the final release. Thank you so much to a very sweet (and unnamed) friend for loaning me their ARC! Thank you! 🙂 You’re so sweet! This new formatting has been really fun to play with. It’s definitely refreshed my love for writing reviews a bit! 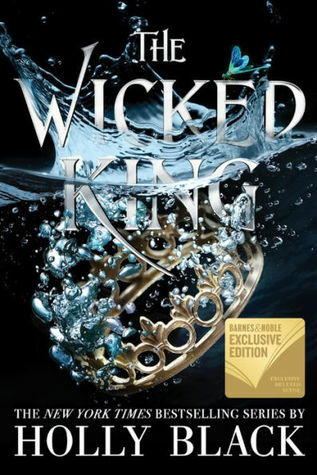 And The Wicked King was absolutely amazing, so I can’t wait for you to read it! Thank you!! Haha yes you do, it is soooooo good! Ah this is one of my most anticipated 2019 reads! This review has just made me even more desperate to read it haha, loved this! Haha thank you! I can’t wait for you to read it, hope you love it! Your review has made me want it more!!!! It’s soooo good, can’t wait for you to read it!! I’m so keen for this book to be released!! Come on January!! Right!! I can’t wait for everyone to read it! I’m so happy you loved this!!! Cardan and Jude are LIFE. I am so thrilled you enjoyed this! I loved the first book and I can’t wait to read this one! It was excellent – I hope you love it, too! I got an ARC of The Cruel Prince last year and now I’m not allowed to read this one up front and it hurts my Black-soul because I really freaking NEED IT. This review worsened my need with.. immeasurable. Ugh. I’ll probably end up buying all the different copies again. I do own three different hardcovers of TCP so why not of TWK as well, right? I seriously almost cried when the friend offered to loan me their copy of this because I knew there was no way I was getting an ARC on my own (they are a librarian and I guess Little Brown gives precedence to librarians and booksellers?). But it is so good and you’re going to love it, I just know it.